Over the years, Baltimore has had several nicknames—some that have stuck, and other's that haven't. 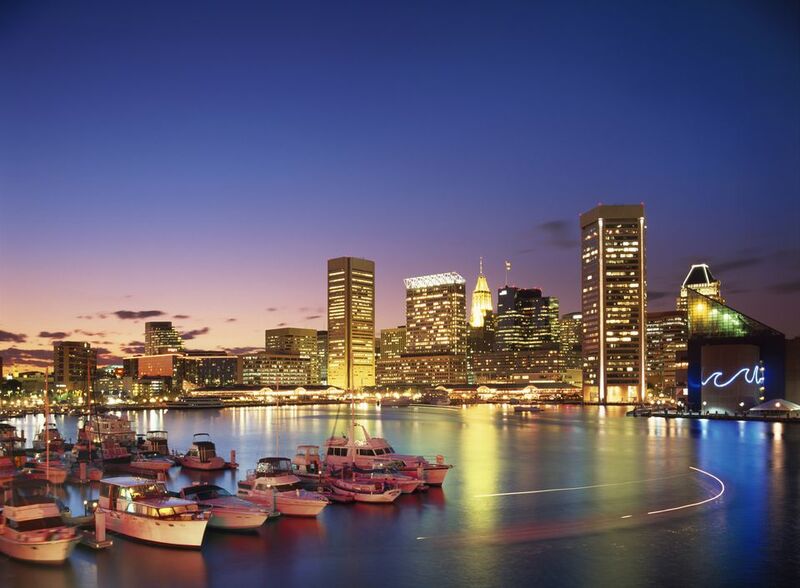 After a visit in 1827, President John Quincy Adams gave Baltimore the nickname "The Monumental City" because of its skyline that was peppered with monuments and churches. The Mobtown nickname was bestowed on Baltimore because of how quickly the city would find an excuse to riot. Some sources trace the nickname back shortly after the American Revolution when an angry mob captured a newspaper baron at his home. The earliest known reference to the nickname found in "The Baltimore Sun" archives dates back to 1838—but one must keep in mind the archives begin in 1837. After the Revolutionary War, Baltimore merchants used speedy clipper schooners for grain and flower trade with the West Indies and South America. This ships, first designed in the Chesapeake Bay, put Baltimore on the map and gave it the nickname the "Clipper City." A local brewery, the Clipper City Brewing Company, takes its name from the moniker. You'll find this nickname on each can or bottle of National Bohemian, a beer that was first brewed in 1885 in Baltimore. The slogan is a nod to life on the Chesapeake Bay. The beer's mascot, the mustachioed "Mr. Boh," remains a Baltimore icon even though the beer is now brewed by Pabst Brewing Company in Milwaukee, Wisconsin. In the 1970s, then-Mayor Donald Shaefer commissioned one of Baltimore's largest advertising firms to come up with a slogan to promote the city (this was long before Mayor Shaefer's legacy project, the Inner Harbor, existed). The firm came up with the idea to promote the city's hidden charm and created an advertising campaign tied to the collection of charms for charm bracelets. Although the ads and the bracelets are long gone, the nickname stuck. In 1988, newly elected Mayor Kurt Schmoke gave Baltimore the aspirational nickname of "The City That Reads" and emblazoned the slogan on benches across the city. Although the nickname didn't stick, Baltimore still loves to read; each year the city hosts the Baltimore Book Festival and there are many locally owned bookstores worth exploring. Bibliophiles will also love tracing Edgar Allan Poe's Baltimore and spending time in the gilded George Peabody Library in Mount Vernon, considered to be one of the most beautiful in the world (it also appears in several movies, including "Sleepless in Seattle"). Former Mayor Martin O'Malley launched the campaign to brand Baltimore as "The Greatest City in America" in 2000. The nickname is still found on benches throughout the city. This nickname was made famous by the opening sequence of "The Wire" and can sometimes be spotted in graffiti tags around the city. It's short for Baltimore. Go figure. This nickname refers to both Baltimore's size and the fact that everyone seems to know one another.